An adult Roseate Tern which spent an hour or so at the Patch this morning was the highlight of the day. Two Mediterranean Gulls and four juvenile Yellow-legged Gulls were also feeding at the Patch. A Hobby was feeding at the Long Pits. 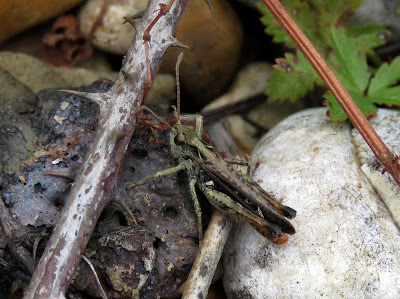 Numbers of adult grasshoppers and crickets are now staring to appear and several Mottled Grasshoppers were found at the south east of the trapping area. This is a fairly scarce species in the recording area. 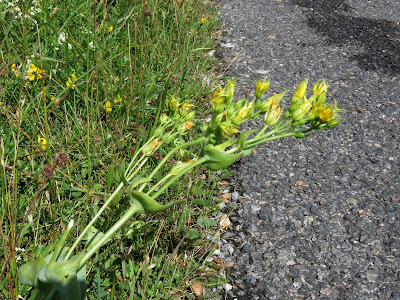 Calmer conditions meant better conditions for photographing the Yellow-wort but the plants themselves seem to have taken a bit of a battering from the wind. Elsewhere, a Cattle Egret was seen at Dengemarsh.